Nice review of the 2011 PFS Annual Meeting by Andy Duncan: A Few Days outside the Asylum. Hitchhiker’s Guide to the Galaxy fans may remember a splendid character (first appearing in So Long, and Thanks for all the Fish) called Wonko the Sane, who lived upon the Earth outside of the asylum. I now know how Wonko felt. Being a man who claims to be the hardest hard-core Rothbardian in England, (and it’s pistols at dawn in the mist for anyone who wishes to argue the point), I feel I was last inside the bubble of civilization two years ago, when I was lucky enough to be invited to Professor Hans-Hermann Hoppe’s Property and Freedom Society conference, held in 2009. The two years since, inside the asylum, have passed in a hilarious blur as various pin-headed identikit Labservatives or Conliberals jaw-boned at each other (at my expense) about how different they are from each other, because some like pink dots on their blue ties while others prefer yellow dots on their pink ties. I was diverted with none so much as that of the rope-dancers, performed upon a slender white thread, extended about two feet, and twelve inches from the ground. Upon which I shall desire liberty, with the reader’s patience, to enlarge a little. This diversion is only practised by those persons who are candidates for great [government] employments, and high favour at court. They are trained in this art from their youth, and are not always of noble birth, or liberal education. When a great office is vacant, either by death or disgrace (which often happens), five or six of those candidates petition the emperor to entertain his majesty and the court with a dance on the rope; and whoever jumps the highest, without falling, succeeds in the office. All this rope-dancing then, has been performed by politicians and bureaucrats while the global economy, such as it is, has staggered under enormous taxes, wasteful government spending, regulatory burdens upon all levels of entrepreneurship, and the strains of dealing with government-imposed fiat currencies, which are having their values deliberately sucked out of them in a continuous manner, to deflate real government debts. All of these debts, of course, were necessitated in the last few decades to foist upon us really useful government products such as endless Middle East wars and legions of tax eaters (such as our own diversity-outreach officers and childhood-clothing inspectors here in Britain), to help persuade us to keep voting Libservative or Conlabour and to continue to believe in democracy, the God that failed, as we seek to impose this frightful governmental system upon the rest of the world — at the end of a depleted-uranium gun barrel. The welfare/warfare state has sucked us dry, and still they want to eviscerate us even more to prop up their rancid empires. If only they would leave us alone and let us get on with it; within a decade we would achieve unbelievable progress and wealth, and yet they would rather hack into us now to feed their short-term parasitic lifestyles and envious natures with our unwilling and increasingly demotivated slave labor. And so, being unable to stand any more after two years of this insanity, I decided to try to return to Bodrum and the 2011 Property and Freedom Society conference, even if this meant crawling over broken glass to do so. And what a joy it was, even after I picked the flecks of crystalline silicate out of my bloody knees and hands, as I crossed the threshold of the Hotel Karia Princess; it was as if I had never been away. Before I even had possession of my room key, I sat down to a glass of red wine in the lobby with Professor Tom DiLorenzo and Professor Yuri Maltsev and several other assorted Australians, Germans, and Swedes. The two years of previous government-induced insanity had melted away before the end of the first glass. And then it just kept getting better — with many more glasses of wine to wash it all down. After spending two years locked inside the asylum with people who think that the BBC is “impartial”; that the British government is here “to help”; and that it is a mortal sin — tantamount to urinating into a plant pot midway through a church service — to ask for a new plastic carrier bag at a supermarket, PFS is the one place on earth (with perhaps the exception of Auburn, Alabama), where you can speak your mind without worrying about the reactions of the petty thought police, the underwear stasi, and all of the other bottom-feeding apparatchiks of the state’s byzantine cornucopia of short-term greed units, tax-consumption directorates, points-scoring rebuttal departments, malinvested corruption troughs, and generally mendacious imbecile farms. Although I’ll stick mainly to the actual conference, please do be assured that this personal report is only the tip of the iceberg. The main thing about this conference is to be physically in Bodrum itself when the conference is taking place, to soak up all of that Hayekian knowledge that is impossible to acquire through words alone, and to secure one of its precious invites from Professor Hoppe. Acquiring one of these is an SAS-style initiative test, and I will provide you with no further clues as to how to get one. However, if you are tempted to try, because you regard yourself as some form of Rothbardian, or even anything close, then good luck in the attempt. And so to the actual conference. The first morning concentrated upon the state of world banking, with an opening address by Professor Hoppe and lectures by rising star Mateuz Machaj, on how not to criticize a central bank, and our very own Philipp Bagus. Bagus’s lecture (“The FED and the ECB: Banksterism Compared”) will be of particular interest, and I urge you to watch the video — particularly the second half, which contains a remarkably clear exposition as to what drives the government money machines of the world. The afternoon included the indefatigable Doug French on the ethics of mortgage default, the combative Tom DiLorenzo on the fallacies of happiness research, and the entertaining Nikolay Gertchev on why psychology isn’t economics (which will be available on Vimeo soon). During the question-and-answer session, at the end of the day, Doug French came under a lot of pressure from several non-Auburn libertarians in the audience who disputed his observation that people can or should walk away from bad debts if it becomes financially nonsensical to keep making the payments. Surely contract law should hold, in a future “libertania,” and if you take on a debt, surely you should pay it until your dying day, even if you can walk away unscathed and save a fortune in the process? Although I will let Mr. French defend himself online, as he did so well on the day, one point that never materialized is that banks are lending people money printed out of thin air, based upon central-bank reserves printed out of thin air. If banks were lending gold coins, honestly acquired from lenders putting off consumption, then I would have much more sympathy with the arguments of Mr. French’s critics, although in those circumstances there would never be the wild swings in housing prices that we have enjoyed over the last few years, with paper-debt bubbles piled upon paper-debt bubbles piled upon paper-debt bubbles. And so perhaps the point is moot. In any case, catch the video if this topic interests you. The day was followed by an excellent evening at a local fish restaurant on the Mediterranean shoreline, where I learnt several German words for some very interesting things (because you should learn something new every day). With very civilized starting times for the lectures, which enabled late-night discussions beyond 3 a.m. or 4 a.m. most mornings, much that is important to the world was discussed, with increasing relevance to the future of humanity as the evenings progressed deep into the late hours. The conference resumed on the second day with the diamond-hard Stephan Kinsella fending off all contenders in his discussion of libertarian legal misconceptions. Although I only had time to say hello and shake his hand for one second, because he had to leave the conference early, it was a privilege to meet Mr. Kinsella and to watch him in action; I hope to meet him again soon. 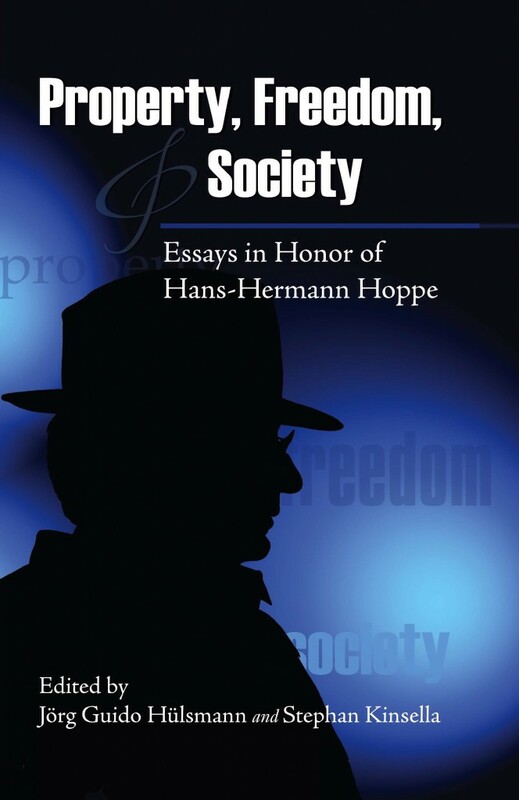 What was really interesting was to hear someone with the confidence to quote Hoppe, in Hoppe’s physical presence, and to state what Hoppe thought about something (with nods from the great man himself, in confirmation), in stream-of-consciousness answers to questions from the floor. Remarkable. And I thought I was doing well just to light the professor’s cigarettes! This was followed by two entertaining former Margaret Thatcher speechwriters, John O’Sullivan and Norman Stone — on understanding Europe’s bureaucrats and understanding Turkey, respectively. This second speech on Turkey was then complemented by a real Turk, Mustafa Akyol, who delivered a history of the Ottoman Empire and a workable strategy for how the borders of the Middle East may be redrawn in the near future. And so we entered a kind of nirvana, halfway through the conference, when we felt we had been there forever, and felt we would continue to be there forever, outside the asylum. After another late evening, in which the problems of the world became easier to solve as the night progressed, our third and final day — into which much was improbably packed — materialized. Sean Gabb kicked off the day with a pugilistic case against the American War of Independence, which was interesting to witness, as it was delivered in a packed room of 60 people, with about 20 Americans present. Fortunately, Dr. Gabb is blessed with a teflon outer coat and managed to pull it off, whereas other thinner-skinned people may have quailed under the spotlight. The best lecture of the conference then followed, delivered by Roman Skaskiw, a former captain in the US Airborne forces, who has served four tours in both Afghanistan and Iraq (and who will be played by Matt Damon if they ever make the movie). In a wonderfully understated way he detailed how he had actually been living out several of Hoppe’s predictions in “winning the peace” in Afghanistan, for instance in the building of roads to ostensibly aid the economy of Afghanistan (bombed into the stone age by B-52s), which were really being built to help aid imperial troop movements around this vast inhospitable country, to quell local resistance to imperial might, in the manner of the finest Roman roads of Monty Python. I don’t think it takes evil people to do evil things; it only takes evil ideologies. Delivered with power and emotion, I felt physically stunned by this lecture, and will remember it for a very long time indeed. Obviously, I’m going to have to steal that line about the minestrone and use it again in a couple of years, when everyone else has forgotten where it came from. But then, Stephan Kinsella would say that it’s not stealing but simply the reproduction of infinitely reproducible ideas, so I can sleep easy in my bed at night with a clear conscience. Oh, those IP ways of thinking are really tough to abandon! Nicola Iannello followed, with producers and parasites. And then we had the big one, Yuri Maltsev, and his tale of defection from the economic advisory department of Gorbachev, involving two large bags of condoms and lipstick; this is one you really need to watch, especially if you’re really missing George Carlin. Suffice it to say, anyone who can mix up Salma Hayek with F.A. Hayek, is a man worth listening to. The next day was the traditional boat day, in which various Englishmen and Swedish men went very pink as we swam about in the Mediterranean. Fortunately, on our boat, we possessed several hardy red-blooded vikings, one of whom raided surrounding ships armed with nothing but an air mattress and a pair of sunglasses, to recover beer from various weak-willed Germans and Americans; God bless him. Indeed, at one point he swam about half a mile just to recover one can of beer (which I duly drank, merely to celebrate his achievement, naturellement). All I can say is that the spirit of the vikings is alive and well, and when the welfare state of Sweden finally dies, the rest of us had better look out. Fortunately, we all managed to repair back to the hotel for the semisurprise wedding of Doug and Deanna French, which was the last major spectacular occasion of the week. And so, the next day, it all ended; and we all had to reenter the asylum for another year before we can escape again, for a few blessed days in late May of 2012. Thank goodness God (if she exists) gave us all a sense of humor. Andy Duncan works as an independent educational consultant and project-management professional within the quantitative-finance industry. See Andy Duncan’s article archives. A longer version of this review was published at the Cobden Centre on June 8, 2011. You can subscribe to future articles by Andy Duncan via this RSS feed. Most of these speeches are available not only on Vimeo, but also on the website of the Property and Freedom Society.